I am fortunate enough to live in beautiful Arizona, so there is no lack of sun here! I love the sunshine! One of my favorite quotes is, ” If you can’t find the sunshine, be the sunshine!” Today, I actually feel like I am walking on sunshine because this weekend I was nominated by a friend for The Sunshine Blogger Award and then nominated by two more friends today! I feel so honored because even though this blog is about wellness, I am happy that I can spread some sunshine too! What is the award? The Sunshine Blogger Award is given from bloggers to other bloggers who are creative, positive, and inspiring, while spreading sunshine to the blogging community. How wonderful is that! I am so grateful to my amazing friends who nominated me and allow me to share a little bit more about me and my passion for health and wellbeing. Mary is one of the most thoughtful people I have ever met! I am truly in love with her mission! Mary focuses on helping others to clear their clutter so they can move forward with their lives. I am a big believer in this as well. Especially when I am embarking on a new project, I always take time to tidy a closet or clear away some clutter from my surroundings. I am a firm believer in out with the old to bring in the new! My next nomination came from my friend Karen @aboveandbeblonde www.aboveandbeblonde.com . Karen is the very first friend I ever met in person after I joined Instagram. She also lives in Scottsdale, AZ and I would see her posts and think ” I know where she is!”. I reached out to her and I am so glad that I did! Karen is extremely witty and also very fashionable! I have to thank Karen for keeping me up to date with my style. She was the one who introduced me to wearing joggers and heels. She allows me to up my fashion game when I am out of uniform from my usual white coat at the pharmacy! My friend Lisa , @midlifeinbloom www.midlifeinbloom.com also nominated me for this award! I love Lisa’s blog because just as her name states, she allows us to bloom in midlife. I truly believe as I enter my middle years that the world is truly my oyster and I can’t wait to see what is in store! Look to Lisa for style, travel and healthy living advice as well. I learned a lot about CBD oil from Lisa’s blog! The ladies asked me to answer the following questions for the award and I can not wait to share! What is your blog about and how did you become interested in blogging? 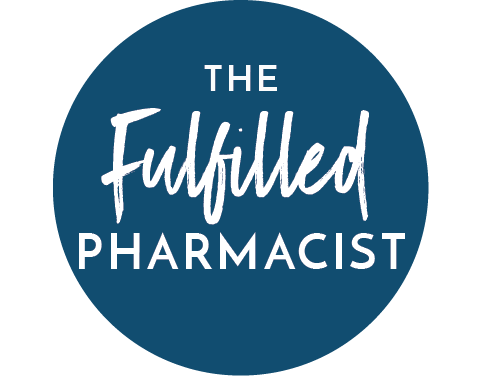 I came up with the name the Fulfilled Pharmacist well over five years ago for a blog that I wanted to start at the time. It took me over five years to actually do so! Two years ago when I started my Instagram account I used the name The Fulfilled Pharmacist. I wanted a place to share about healthy living and disease prevention. As passionate as I am about wellness I am also passionate about a positive lifestyle. I share a lot of that also through my book Tiny Life Changes. After writing the book, I would share about being positive and turning my thoughts around. I then began sharing more about the Interstitial Cystitis diagnosis I received over twenty five years ago. I wanted my followers to know that I lived with chronic pain for many years and I am living proof that you can heal your body from chronic illness and go on and live a fulfilled life. What is the most important thing you would like your readers to take away form reading your posts? I love providing information to my readers outside of the scope of prescription medicine. I want my followers to know that diet and lifestyle do matter. I want to share that self care is an essential part of a wellness plan. I want to be the one who empowers them to think differently about their health, to realize that healthy living is a journey and it is all about not just living a long life but a long and fulfilled life. I also believe in a gentle approach to optimal wellness. Change can sometimes be daunting but if we incorporate healthy changes one step at a time they will lead to big results in the long run! I am one lucky lady! I have a wonderful husband who is so supportive of me and a creative entrepreneur who I get to bounce ideas off of every day! I also have the best children who inspire me daily to be kind and gentle and make the world they live in a better place. I also get to work with my sister who is the amazing co- author with me of our book Tiny Life Changes. I never in a million years would have ever guessed that I would find inspiration daily though the amazing women I have met through social media! Here are just some of my blogger friends at a Galentine’s Gathering at my home. I have to chuckle when I think about this answer because it totally all revolves around food! I love dinner with my husband and lunch with my friends. I love entertaining and that includes dinners for my boys and their wives or my extended family. I love having a bunch of girls over for lunch too and we wind up sharing from our hearts and it will usually turn into a mini therapy session. What is the one place you’ve never been to that you would like to go? My husband and I married young and our children are very spread in age so travel has been put on the back burner for us. I am also a home body and love nothing more than to stay near home for a staycation. I would love to see more of the U.S. I would love to see South Carolina, more of Florida and California and to visit Hawaii. I would love to have a dose of Vitamin Sea! I have so many wonderful friends who blog so it was hard for me to choose! However; I wanted to choose two women who have completely inspired me in business. What is your favorite post you have written and why? What is your favorite or least favorite thing about blogging? When not working on your blog, what do you like to do? Thank the person who nominated you and include a link back to their blog and Ig account. Nominate other bloggers (2-4) and give them questions to answer. Many women know the feeling. The feeling that you are starting to get a urinary tract infection or UTI. The feeling of increased pressure and frequency, painful urination and possibly blood in the urine. It is a dreaded feeling, especially for women who experience frequent urinary tract infections. A urinary tract infection is an infection in any part of the urinary tract. This can effect the kidney, ureters, bladder and urethra. Most UTIs will happen in the lower urinary tract such as the bladder and urethra. They can be treated with antibiotics and will usually resolve after treatment. When diagnosed with a UTI, most women know to drink plenty of water to flush the bacteria out of their urinary tract. Cranberry juice is often recommended as it make the bacteria causing the UTI more “slippery” so they can easily be flushed out as well. It is important to note that cranberry juice should be pure cranberry juice and not artificially flavored or a cranberry juice cocktail blend. However; many women do not know that there are certain foods and drinks that are not recommended when you have a UTI. These foods and drinks can aggravate a sensitive bladder and cause more frequent urination. Drinks to avoid include coffee, tea, and alcohol which can irritate the bladder. While the caffeine in coffee and tea is what will cause frequent urination, the acidity of coffee can also irritate the bladder as well. It is best to stay with water during this time as even carbonated drinks can affect the bladder. Spicy foods and citrus containing foods are bladder irritants. For this reason, acidic fruit juices which can include orange juice and lemonade should be avoided during this period of time. Chocolate, including dark chocolate ,can also aggravate the bladder. This is also not the time to eat many sweets. Reduce your sugar intake while you have a urinary tract infection to prevent that sugar from becoming a food for the bacteria to feed on and multiply during the infection. Aged and cured foods like sharp cheeses and cured meats can also affect the bladder lining and should be avoided. It is important to take a probiotic especially while you are taking an antibiotic to replenish the good bacteria in your gut. Be sure to space them out by several hours as you do not want the antibiotic to eat away at the probiotic reducing its beneficial effects. Probiotics will also boost your immunity. What you should eat at this time are plenty of plant based meals that are nutrient dense. The extra nutrients will help to give you energy to fight off the infection and also the fiber in the vegetables and fruits will act as a prebiotic giving the probiotic a “food” to increase the growth of the healthy bacteria in your gut. When diagnosed with a UTI, get plenty of rest, drink plenty of water and choose healthy options for meals. If you have frequent UTI’s that when cultured do not show any microorganisms, be sure to ask your doctor about the possibility of having a bladder condition called Interstitial Cystitis. It often mimics UTI symptoms although the pain caused by the syndrome does not come from bacteria. I am happy to answer any questions as well. One of the things that you may be searching for in life is to find your true passion. You know you were meant for more, but may be searching for what truly ignites your spark. Without that feeling of fulfillment , you can sometimes feel drained, overwhelmed or stressed. You may want to volunteer, start blogging, become a yoga teacher or invest in real estate. Whatever it is that you want to do; the following exercises will help you to find what you are looking for in saying “Yes” to more purpose and passion in your life. Take a few minutes to sit and really think about what your ideal day looks like to you. Do you like to exercise, travel, write, read? How does it make you feel thinking about your ideal day? Write down everything that you would like to include on a day that is just for you. Really resonate with the feeling of spending the day in a way that really brings you joy. Do you feel excited, peaceful, content? What is one tiny change that you can make in your daily routine to include parts of your ideal day in every day. Ultimately, the more things you can include in your daily routine from you perfect day, the more fulfilled you will feel. What are your greatest strengths? Pinpointing things that you are good at may help spark what you would like to do in the future. For example, you may be very organized. You could choose to start a business teaching organization skills or organize clients’ offices or closets. You can take that same skill and volunteer to organize a food pantry for a charity organization. Take some time to brainstorm different ways to incorporate your strengths into your passion. What are times in your life that you overcame challenges? If you or a family member overcame a difficult diagnosis; you may like to volunteer or start a charity that supports that cause. If you learned to live on a budget after a difficult financial situation, you may like to teach people how to thrift or coupon through a blog or podcast regarding your money saving strategies. It is very inspiring to others to hear how someone overcame a challenge in their life. You can turn that problem into a passion by empowering others who may be going through the same situation. What do you get complimented on? If you always get compliments on your baking; you may want to actually open up a bakery or volunteer to bake for parties at a senior center. If everyone compliments your home decor; you may want to go back to school to learn how to become an interior decorator. Sometimes it may feel hard to know what you are good at doing and that often holds us up in discovering our true purpose in life. If you make a list of the compliments that you hear from others, is a great starting point to know what you are really good at doing! Ultimately, living your spirit and finding your passion will include something that you love to do. Take some time to sort out what you would love to do daily and what are your greatest strengths. You are on the road to discovering the true fulfillment you are craving in your life! I am a big believer in positive affirmations. What you say to yourself daily will reframe your thoughts and keep you on track to achieving your goals and dreams. Daily affirmations are designed to alter your beliefs so they are more positive and move you forward to what you want to achieve. At times affirmations may seem too unbelievable. If your affirmations are too grand they are in fact positive, but may not help you to move you in a positive direction. A popular goal for the new year is weight loss. Let’s say you have a goal to lose 20 pounds and look great in a bathing suit by the summer. You are excited and skeptical all at the same time about your ability to lose weight. You know you have had trouble losing weight in the past and aren’t sure how things are going to be any different this time. You start saying an affirmation ” I am going to lose 20 pounds.” You may not believe what you are saying and the affirmation is not believable to you. You can start by breaking your affirmations down into more believable segments that do seem like something that you can accomplish. An affirmation such as ” I will take care of myself and make healthy choices when it comes to eating.” seems more obtainable and will set you on the path to losing those 20 pounds and looking great in that bathing suit at the beach or the pool this year! Keeping your affirmations simple and believable is a great way to fulfill your goals and dreams. Set aside some quiet time daily for affirmations. You can say affirmations throughout the day while you are walking, driving or even as part of you morning or evening routine. Repeat the affirmations silently or aloud and envision yourself reaching your goal. Choose affirmations that you believe to be true. These 20 simple and believable affirmations are a great way to get started towards securing your goals right now. I will make tiny changes daily, until I reach my goal. I am positive I can achieve my goals. I will take the first step. I will work my plan. I am excited to be moving towards my goals and dreams. I am persistent as I keep moving forward. I am taking the proper steps to achieve my goals. I am grateful for the opportunity to make changes in my life. I will make the most of each day. I am motivated to make change in my life. I am becoming the best version of me. I am confident that I can do this. I can make change happen in my life. You can use these affirmations daily to set you on a positive path to achieve your goals and dreams. Feel free to add more of your own! You can also download a recording of five minutes worth of free affirmations atom tinylifechanges.com. You will soon be on your way to achieving your goals one step and one day at a time! We are two weeks into the new year and you are either feeling excited by your goals or completely overwhelmed. A recent study in the United Kingdom showed that 92% of new year’s goals had already failed by January 15th of each year. If you are one of the 92% who has given up on your goals, there is no need to give up! You still have plenty of time to attain your dreams in 2019. You do not have to be perfect when planning your goals but there is a secret; you just have to keep moving forward. So why is it that most people can not stick to their new year’s resolutions? Often times change seems extremely daunting and overwhelming. By breaking goals down into tiny changes and progressing forward you are more likely to achieve those goals. One of my quotes from my co-authored book Tiny Life Changes is “Moving forward is moving forward. Each step in the right direction will get you closer to your goal.” That is the true secret of living the life you desire ; you just have to be persistent in working towards your dreams. When goal planning, you often may be at a stand still waiting for the perfect time or the perfect opportunity to start reaching your goal. This is why you do not want to be perfect. Your first step does not have to be the perfect step but it just needs to be your next best step. Think of one tiny change you can make today that will get you closer to your goal. Getting healthier in the new year is often a top resolution. If completely changing your diet is overwhelming: can you go grocery shopping and buy more fruits and vegetables? Start incorporating healthier choices into your daily routine. If your goal is to exercise more, can you start by taking a walk around the block? If your goal is to save more money, can you start planning a schedule on how to cut back on dining out and find new recipes to try at home? If you would like to launch a new business, can you start by asking for advice from someone in a similar business? No matter what the goal, by breaking it down into smaller goals it is easier to attain. Writing your goal down also helps to increase the probability of achieving that goal. The same study from the UK that stated most people have given up on their goals by January 15th also states that only 3% of most adults will write down their goal. Writing down your goals increases the chances of earning that goal by 42% according to Dr. Gail Matthews of the Dominican University of California. Take the time to write down what you desire to achieve in 2019 and then take your next best step! The secret of getting ahead is getting started…Sally Berger. Keep this in mind when reaching for your dreams; just get started! If you would like to learn more about achieving your goals and dreams one step and one day at a time visit http://www.tinylifechanges.com . Fall is a time to be with family and friends. This often means gatherings that include food and festivities. After eating several heavier meals, we may want to give our bodies a reset. You do not need to totally overhaul your diet but by making some tiny changes in your daily routine you can deliver big benefits with little effort. Your body is very efficient and your detox organs work well on their own. However; do you know when you clean the lint out of your dryer and it just works better to dry clothes? That is how it is with your organs when you help them with natural detoxing. Most of these tips are super simple and they are great to include in your every day routine. What is a toxin exactly? A toxin is anything that your body can not use for energy. You can absorb toxins in your environment including skin care, cleaning products and the air you breathe. They can also be ingested in the food you eat. Some signs that your body may need a detox include low energy levels, bloating, mood swings, irritability, brain fog, headaches, cravings, and trouble sleeping. Detoxing can help with these symptoms. Also, when you naturally detox and help your GI tract remove waste, you often lose weight in all of the right places too. Drink more water- Aim for half of your healthy body weight in ounces daily. Adding lemon to your water is a great way to help flush out your kidneys and aid in digestion to remove waste from your GI tract. Eat more fruits and vegetables- Fruits and vegetables are not only packed with nutrients but are also high in fiber. Fiber in your diet helps to naturally eliminate waste from your gastrointestinal tract. Aim for 25g of fiber daily from natural sources. While you are eating more plant based foods; this is a great time to eliminate white and processed foods and sugar as well. Breathe Deeply- When we take deep breaths, we take in more oxygen to cleanse the body and eliminate the body’s waste through carbon dioxide. Take a walk, go to yoga, hike, ride your bike or any other form of exercise. All of these things will help your body with natural detoxification. Get enough sleep – Your body releases toxins naturally when you sleep. Sleep is very restorative and blood flow moves into your muscle and tissue for natural repair. Studies show from Medical News Today that not only do your detox organs repair themselves at night but your brain does as well. The main mechanism that removes waste products from the brain is mainly active during sleep. It is very important to get between 7 and 9 hours of sleep per night to promote healthy and natural detoxing in your body. When we drink more water, eat healthier foods and exhibit self care through exercise and rest our bodies feel better. Be sure to listen to symptoms and if your body is telling you it doesn’t feel its best then be sure to include some of these easy ways to naturally detox in your daily routine. Tiny changes lead to big results and even incorporating one or two of these tips in your daily routine can be very beneficial. I would love for you to share this with a friend. Comment below, I would love to connect with you here! The holidays are right around the corner and of course everyone wants to look their holiday best! For many that includes trying new skin care products that promise a beautiful complexion. However; if you really want to get your glow on for the holidays, you should start incorporating some of these changes into your diet now. You will be doing a double take in the mirror as you head out to your holiday festivities! Do you know the saying “You are what you eat”? The saying should really be “You are what you absorb.” Your gut health is critical to having beautiful skin. Your skin is your largest organ and what you eat in your diet reflects onto your skin. If your diet is lacking in nutrients one of the quickest areas it will appear in is in your skin, hair and nails as your body saves nutrients for vital organs. Good gut health is vital to improving digestion of nutrients into your body. Foods that are nutrient dense such as fruits and vegetables are an important part of having a beautiful complexion. Fruits and vegetables are also high in fiber. The fiber in your diet helps you eliminate waste from your GI tract. The elimination of this waste also helps to establish good gut health. You can also find fiber in oats, nuts, seeds and beans. Enhancing the quality of your gut health will also improve your mood and give your immune system a boost as well! Stay hydrated and aim for half of your body weight in ounces of water daily. Skin that is dehydrated will appear dry and tight. This is the time that you want to be plump! Water will plump skin and make it more resilient to wrinkling. Gluten, dairy and sugar are all inflammatory foods and should be avoided. Eating large amounts of sugar often leads to a dull complexion. The American Heart Association recommendation for sugar intake daily is 25g per day for women and 36g per day for men. I would also recommend the book Inflammation Nation by Floyd H. Chilton and Laura Tucker. The book explains the benefits of an anti-inflammatory diet for not only better looking skin but also better health. One thing to remember is that you should stick with any new changes in your diet to see improvements in your skin for at least 6 weeks. Start now and you will be delighted with the results you experience in a brighter complexion for the holidays! Last but not least, do not forget the importance of beauty sleep. Aim for 7 to 9 hours per night. While you sleep, your skin heals itself from the day. Your body boosts blood flow to your skin and increases collagen levels which means fewer wrinkles and fine lines. Enhancing your diet now through improving gut health, increasing nutrients, drinking more water and getting more sleep will have you looking like the Belle of the Ball this holiday season. Share this with a friend! Remember, tiny changes lead to bit results. Which one of these tips can you easily incorporate into your day? Comment below, I would love to hear! Heading into my fifties, I definitely started looking for way to boost my metabolism. I was actually astounded by what I discovered. Your metabolism starts slowing down as early as age 25, and can actually decline by as much as 2 to 4 % per year. However; that does not mean that it is inevitable that you will keep gaining weight as you get older. Along with diet and exercise, there are other surprisingly simple ways to give your metabolism a boost. Studies show that dedicating even 3 minutes per day to deep breathing can spark your metabolism to increase by as much as 27%. Try inhaling through your nose for a count of four. Hold and exhale through your mouth. Exhale twice as long as your inhale. This is something that can easily be accomplished while watching TV, before bedtime or after waking in the morning. Did you know that drinking one extra glass of water daily will increase your calorie burn by 200 calories daily? If you are not certain how much water should you drink; aim for half of your healthy body weight in ounces every day. Studies show that drinking 2 liters of water daily could actually increase your calorie expenditure by 96 calories per day academic.oup.com . Chronic stress can increase your cortisol levels and increase your metabolism. The added effects of stress can lead to weight gain. This is often not just from nervous eating; but due to an imbalance in your stress hormones. Self care is an important part of any wellness plan. Take time to walk, practice yoga, meditate, slow down. Do whatever you need to do to take care of you! A toxin is anything that accumulates in your body and you can not use for energy. There are toxins in the air you breath, the food you eat and in your daily routine. Be sure to choose botanically based skin care and makeup and natural cleaning products. Learn to read labels on the products that you use daily in your home and beauty routines. Packaged and processed foods slow down your metabolism. Eat whole and real foods. Shop the perimeter of the store where you will find foods that are not packaged. Go to your Farmer’s Market. Choose organic when you can. Fresh produce is also high in fiber and will help eliminate toxins from your GI tract. Also, resist eating after dinner. Giving your body time to rest will reset your metabolic clock. I aim for at least 14 hours per day between dinner and breakfast. The more you rest and sleep the better your metabolism. Studies show that sleeping 8 and 1/2 hours per night versus 5 and 1/2 hours per night will actually burn an extra 400 calories per day. Eliminate distractions like watching TV and using a phone or computer before bedtime. Taking time for sleep is important for your overall health. If you need to rest, then be sure to rest! Increasing your metabolism is possible at any age. A lifestyle that includes healthy eating and exercising are important to living a long and vibrant life. Increasing your metabolism so you can look and feel your best allows you to conquer your goals and dreams! I would love for you to share this article! I would love to hear your comments as well! Boy, am I a sucker for all things that are aimed to make you happy. Inspirational books, I’ll read them. Positivity quotes, I’ll find them. Meditation, I’ll try it. I do believe I am a fairly positive and happy person. I look for the positive even in negative situations. So when several months ago, I felt just a bit more happy then usual. I wasn’t sure why and then it dawned on me! I started taking a probiotic daily! Even as a pharmacist, for years it never occurred to me to take or even recommend a probiotic unless a patient had previously been on an antibiotic. I started reading more and more about the good probiotics do for your gut. 80% of your serotonin levels are produced in your gut, thus taking a probiotic daily improves your gut health and also boosts your mood. Probiotics also help boost your immune system. They are essential in staying healthy especially during cold and flu season. More and more people I talk to are referring to the term ‘leaky gut syndrome’, medically known as Hyperpermeable Intestines. This is where the walls of your gut become damaged and the toxins inside your GI tract leak into your blood stream. This can lead to autoimmune diseases such as Rheumatoid Arthritis, diabetes, Multiple Sclerosis and Hashimoto’s disease. It can also lead to food sensitivities, malabsorption of nutrients and skin conditions such as acne and psoriasis. While leading a healthy lifestyle also helps maintain a healthy gut, so does taking a probiotic. If you want to learn more about how tiny changes can lead to big results in your health, join me in my Facebook Community Tiny Changes Big Results. I’ll see you there and we can all make the summer of ’17 one of our happiest and healthiest summers ever!